It’s a given that marketing is a big part of business success. The more frequently and effectively a company markets, the better it is going to do over the long haul. But what if a company doesn’t have an unlimited marketing budget? No worries. 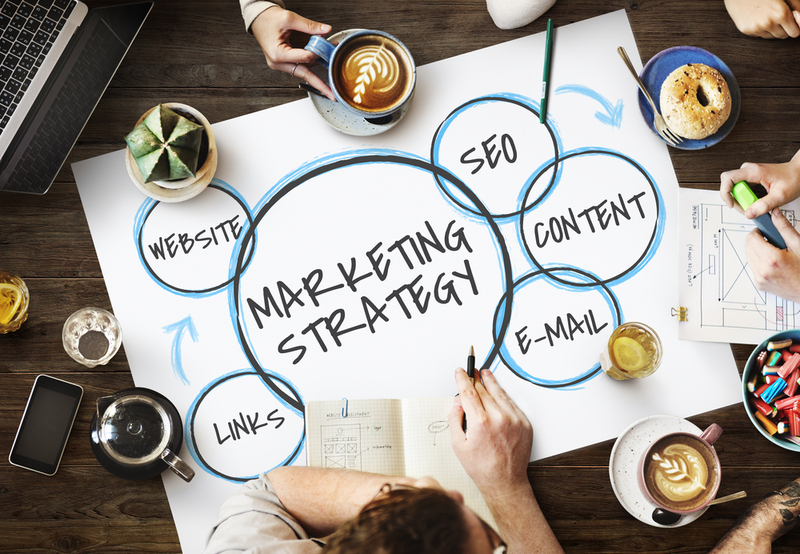 There are plenty of affordable and productive marketing strategies out there. Some of the hottest among them are listed below, divided into three categories: local marketing, content marketing, and online strategies. Let’s face it; customers love free stuff. That’s not necessarily a bad thing if you approach the typical giveaway as a marketing tool. The most successful businesses understand this. They do not give away the whole shop, but they give away something that customers find valuable. Think two-for-one deals, free samples, and coupon codes redeemable for free gifts. Giving away freebies from time to time not only brings your loyal customers back, but it also encourages them to tell others about your business. Hand-in-hand with free stuff are live demonstrations. Finding a way to demonstrate your products or services gives your customers a hands-on experience that will drive home the value you offer. Obviously, demonstrations work very well for brick-and-mortar establishments where face-to-face engagement is normal. But you can offer demonstrations online as well. Just create some videos. Host them on your site or on YouTube, with a link back to your site. One of the hottest ideas right now is to do cross promotions with other businesses. They may be in related sectors or, if you are feeling especially adventurous, completely unrelated to what you do. For example, you could partner with all of the retailers within walking distance of your establishment. Another option is to partner with others offering related products or services even though they might be located on the other side of town. As long as you are partnering with other businesses in the local area, encourage your customers to shop locally. This is a good way to build community loyalty and get exposure for all of the involved businesses. Marketing locally is a powerful way to build a business from the ground up. Moreover, a strong local business environment boosts the economy by encouraging other businesses to open in your area. Consumers in the modern era expect the companies they do business with to exercise a bit of social responsibility. A good way to do that is to make charity part of what your business does. Select a handful of charitable causes and get involved. Donate financially; give some of your time; promote those causes in your marketing materials. Another thing that customers like to see are businesses involved in the local community. As such, look for those unexpected marketing opportunities that show your customers you are one of them. Your company can sponsor a local football club, for example. You could set up a vendor’s booth at a local food or music festival. The point is to look for those marketing opportunities where people do not expect to find your company. Hosting an open house at your business can accomplish a couple of things. First, it gives your customers an opportunity to come in and interact with staff on a more personal level. Second, it offers an opportunity for you to partner with other businesses involved in the same sector. An open house is a great form for Q&A sessions, meet and greets, and so forth. Consumers are more likely to purchase from companies they trust than those they know nothing about. To that end, a very effective marketing tool is that of establishing your company as an authority within your sector. You can do this in a number of ways. First, consider publishing some white papers that explain the most complex aspects of your industry. Next, invite customers to review your business. And third, continually develop a list of resources that your customers can tap into to learn more about what your company does. Another way to establish a company’s authority is to offer yourself or a staff member as a guest speaker at local business events, symposiums, college campuses, and so forth. Public speaking puts your company and its image out there in a very personal setting. Thanks to advances in digital printing, you can now wrap your car in your company’s brand. High-quality vinyl wraps can be printed in a variety of colours according to whatever design strikes your fancy. Moreover, a vinyl wrap will not harm the finish of the vehicle underneath. It can be removed just as easily as it was installed – with no harm done. Wrapping your car is an opportunity to drive your brand around the local area. It is one of the most cost-effective ways of implementing a mobile marketing programme. If you cannot afford to wrap, at least consider magnetic signs for the doors of your car. Networking is a concept that came into its own about 20 years ago. Since its earliest days though, networking has been focused on receiving. In other words, you get out of networking whatever you can in order to build your business. Well, why not try going the other way? Rather than looking at networking simply as a way to receive, use it as a way to give. Help other business owners in whatever way you can. The more you help, the more they will be willing to help you. A customer referral programme is almost as beneficial as social media word-of-mouth marketing. So ask your customers for referrals. In exchange, give them some sort of reward for referring your company to others. Perhaps a free product or service for every five referrals. Do not fall into the trap of thinking that fresh content has to be new content. It doesn’t always have to be. You can take some old content, update it to reflect the current state of your industry or business, and then republish it. Recycling content is like recycling office supplies. It increases your return on investment while also decreasing the amount you spend on content creation. Google and the other search engines will appreciate it as well; they see recycled content as relevant content. You can only do so much with content on your own site. But guess what? You can also create content for other sites. This is called guest posting. Find some sites that deal with the kinds of goods or services your business sells. Then write industry relevant posts that your customers would find interesting. Posts should not be self-promotional; they should be informative and practical. Include your business name and a link back to it in the bio at the bottom. We typically think of content as blog posts or informational articles. But video content is just as important. In fact, it might even be more effective in this day and age of visual stimulation. Make a point of creating regular videos that you can host on your own website or YouTube. Also consider live streaming. Use your company’s Facebook account to stream live presentations to feature new products or services, announce a sale, or whatever. Business in the 21stcentury revolves around the internet; there is no getting around it. As such, it is critical to make sure all the online listings pertaining to your business are current. If you have never updated your online listings before, now is the time to start devoting the resources to doing so. Then put someone in charge of maintaining those listings so that they are always accurate. Despite what so many people believe, e-mail marketing is nowhere close to being dead. The key to making e-mail work as a marketing tool is developing a mailing list of customers who actually want your updates. You can combine a free giveaway with e-mail by using the freebie to create a mailing list. You can also create multiple lists. Create one for your newsletter, another for special sales offers, and so forth. Social media is the internet equivalent of the Yellow Pages. Fortunately, it does something that the Yellow Pages never could do: encourage conversations among your customers. Social media marketing combines the best of business listings with the tried-and-trusted principle of word-of-mouth marketing. The more people talk positively about your business in social media, the more customers you will see patronising your business. The chatbot might be relatively new technology, but it is catching on quickly. A good chatbot can engage with your customers to act as an additional point of inquiry. Chatbots can be coded to answer the most frequently asked questions or point customers in the direction of finding a specific kind of help and support. Larger numbers of consumers are using their mobile devices to do all of their online stuff. You have a great responsive website that does the job, so now it’s time to think of ramping it up with a mobile app. Note that mobile apps are not right for every business or organisation, but those that do find useful ways to deploy them create a wider audience for themselves. If there is any way your company could use a mobile app without it seeming forced and unnecessary, definitely think about it. PPC advertising is definitely not the golden goose it was once purported as being. Yet it remains an effective way to reach new customers. Carefully crafted ads targeting a specific group can yield very good results. Your best bet is to mix PPC advertising with proven strategies for positive, organic SEO. Striking that perfect balance between organic search results and paid advertising can substantially increase online traffic. There are many more marketing strategies in addition to the ones listed here. Here’s the point: you do not have to have a huge marketing budget to make a big splash. You just need a little creativity and some forward thinking to go along with whatever amount you do have to spend.